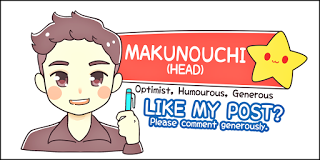 Launch of "Spirits of Symphony"
In October 2015, we started "Mangaka Spirits" in our facebook page to acknowledge aspiring artists and feature their artworks. I think Mangaka Spirits has gotten traction and I have no worry on this train steaming its way to its faraway destination. It's a faraway destination because I do not know when this initiative will end. On 1 July 2017, we started yet another initiative called "Spirits of Symphony" (SOS). Kudos to my dear admin Sai whom is ever so innovative. As the name suggests, SOS seeks to acknowledge creators in the field of music, be it vocal or instruments. We will feature talents every weekend. 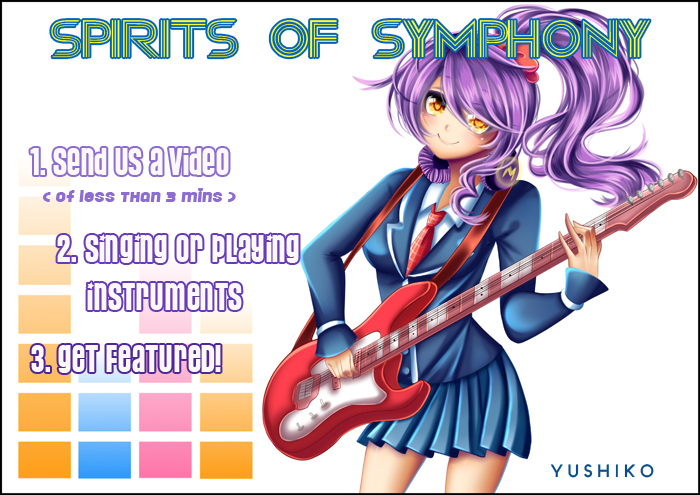 We got Yushiko again to be the Head of "Spirits of Symphony" and she readily agrees. Yushiko, do take care of your health as you are managing two important portfolios. I now leave you with the banner for "Spirits of Symphony". No Comment to " Launch of "Spirits of Symphony" "